Since the time of the ancient Greeks and Chinese, humans have dreamed of machines that could imitate intelligent human behavior. No longer relegated to the realm of science fiction, this dream of artificial intelligence (AI) is a growing reality in our world through software avatars, factory assembly lines, and even in voice and facial recognition systems. 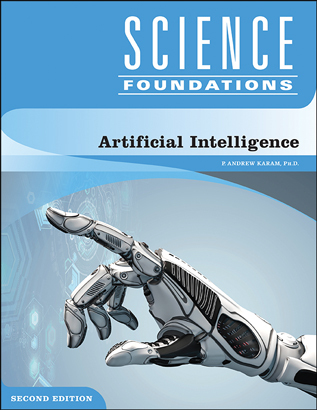 Artificial Intelligence, Second Edition looks at the history of the human development of another form of intelligence on Earth, at some of the problems that face AI researchers, and at some of the ethical issues facing AI advancements. Readers will learn about what is one of the most exciting—and, potentially, one of the most dangerous—areas of research, one in which science, technology, and philosophy merge. P. Andrew Karam, Ph.D., is a scientist, writer, and educator who has written more than 100 technical articles and editorials in scientific and technical journals. He received his Ph.D. in environmental sciences from Ohio State University.